Floor cleaning is essential to keep a commercial place of work neat and clean, but it may be challenging to manage cleaning in a large retail space with manual scrubbing or cleaning. Floor cleaning of a commercial or industrial area is also difficult due to the large volume of people going in and out daily. Commercial floor care is becoming one of the most important tasks when it comes to managing it correctly for the safe and clean working environment. In shopping malls or large warehouses cleaning and scrubbing the wide commercial area is a challenging task and it also requires dedicated labour, which can at time be hard to find. It is the best idea to use industrial robotic floor scrubber-dryers for cleaning and scrubbing work because these automatic cleaning apparatus can correctly accomplish the task of cleaning and make the floor look shiny and beautiful. An automatic floor cleaning machines are equipped with all the standard cleaning accessories, making the cleaning process very smooth and fast. It can clean the floor surface in a single go and lift up the dirt and dust particles and leave a gleaming clean finish. It can reduce the time for industrial floor cleaning and will increase work efficiency by delivering 100 percent better results than the conventional manual cleaning way of working. It can be set up to clean at specific times, and left to do its cleaning duties. Investing in industrial floor cleaning machines also reduces salary expenses dedicated to machine operators. 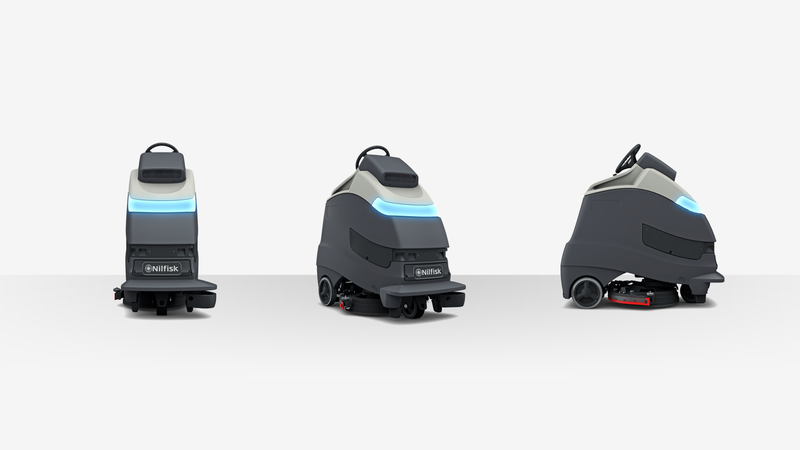 In a large warehouse or shopping mall, sometimes it is necessary to employ three or four cleaning staff to get the work done of this machine, therefore, it will be a smart deal to invest once in the sweeping floor machine. This commercial floor cleaning machine also needs very less maintenance, so it is also a cost-effective technique to ensure quality cleaning services and to reduce maintenance expense. These devices are also very durable and capable for providing long day cleaning service, but it is highly significant to buy them from a registered and authorized dealer or supplier to get the guarantee for excellent service and to ensure long-run usability. To hire the Automatic Robotic Scrubber-Dryer, please contact us.